Pink... - Lovely Blonde Closet "
I hope you all had a wonderful long weekend! I moved yet again with my little family, and spent the weekend with my whole family in my dad’s hometown. We enjoyed coffee on the patio, delicious homecooked meals, beautiful walks and gorgeous views. We had bonfires and sing alongs around the fire – it was just the perfect way to end the summer! It also felt nice to getaway for a little bit before the chaos of another month away from home. Addi has been such a trooper through all of our long drives and the moving. She is such a sweet baby, I feel so lucky! I took these photos of her the day we did another road trip and spent the day loading the car, traveling home, unloading, then unpacking (somewhat) and then repacking for another three weeks. Through this, she sat content on her soft Saranoni blanket, and watched me work away – happy as a clam! 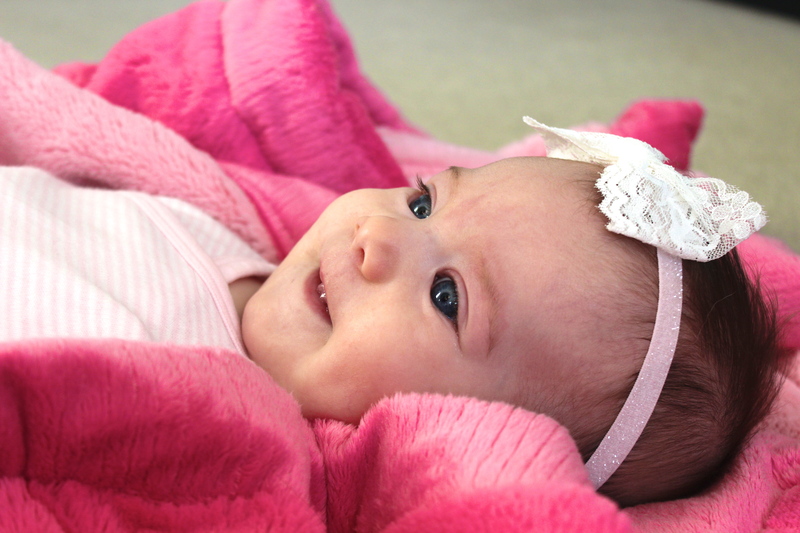 Addi has been cozied up with her Saranoni pink lush blanket – it is so incredibly soft and comfy. I also love how luxurious it feels. If there is one thing that we both enjoy, it is our cuddle time and this is something I hope lasts as long as possible – I envision many cold winter nights with us two snuggled on the couch with this blanket. With this being a toddler-teen blanket, I feel it will last as Addi grows and will be one of her favourites. Head to my instagram to find out how you can win one of these toddler-teen blankets of your choice – I will be choosing two winners on Tuesday, September 9th! I am a big Addi fan! I love seeing your pictures on Instagram! She is adorable!